At these types of clubs, it’s not the music but the ticker that gets people on the dance floor. 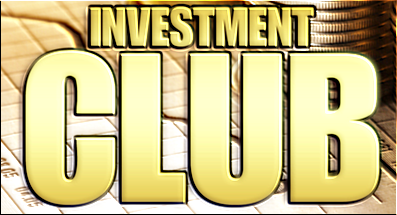 Investment clubs bring like-minded people together to learn more, pool their assets and buy into investments they might not be able to buy on their own. Still, there are risks involved. Before you make your move, research the club and talk to members. Pure Learning. Many clubs use membership fees to host lectures and bring in industry experts, exposing you to new opinions and strategies. Often, they get discounts on books, subscriptions and investing software. Brain Power. Additional brains can keep you up to speed. More people scouring financial results may yield in ideas for companies to watch and identify new laws affecting investors. Trusted Experts. You may meet talented and trusted brokers. They can advise not only your club, but could help you with personal investments. Your Vote. Sure, you have a say, but how much does your vote really count? In some clubs, members can invest a varying amount. Sometimes, bigger investors determine where the money goes. Stranger Danger. Put in the hours at the beginning. Get to know a club’s performance and strategy. Choose a group that represents your own investor profile. Benefits aside, investment clubs do require a cautious approach. Spending Time and Money. Listening to and evaluating members’ opinions takes time. Clubs can also be vulnerable to scams. If it seems too good to be true, it probably is. Now it’s up to you to decide if an investment club is your kind of scene. What is a Brokerage, Exactly?